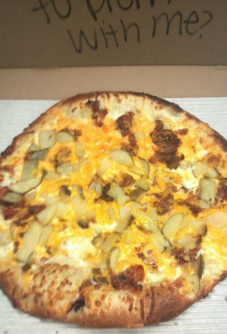 Photos Sajo's Pizza Delton Mi. 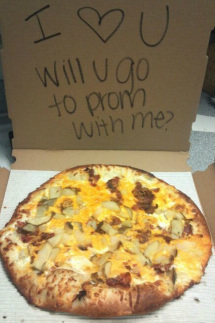 A girl ordered a Bacon Potato pizza that used the potatoes to spell "PROM?" and gave it to her boyfriend. He said yes of course.